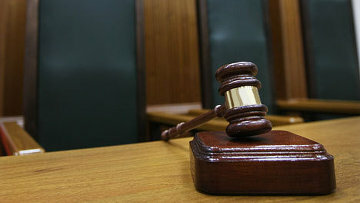 State Duma adopts bill reforming judicial pay grades and qualifications | Russian Legal Information Agency (RAPSI). MOSCOW, November 21 - RAPSI. The State Duma has adopted a package of bills in the first reading, increasing the number of qualification classes for judges from six to ten and raising their wages. The bills propose to increase the sum of additional payments from 15 percent to 30 percent of the official salary for the lowest class and from 30 percent to 150 percent for the highest class. A system of bonuses and financial aid for judges has also been proposed, as well as social and financial measures of support for judges who served in the military, worked in military courts and the Supreme Court's military panel. In addition, it has been proposed to review the payments issued to retired judges according to the old qualification classes and bring them into line with the new changes. During the discussion of the draft laws, Vladimir Pligin, Chairman of the State Duma profile Committee, said that there are around 32,000 judges in Russia, and once the new system of qualification classes has been introduced, almost all judges will be downgraded to a lower class. But this does not mean they will be demoted, it will just be a new classification system. He added, however, that this needs to be discussed further. In total, 65.9 billion rubles ($2.1 billion) have been allocated for implementing these bills. Deputy Finance Minister Tatyana Nesterenko said that the average wage of commercial court judges will increase from 132,000 rubles ($4,200) to 150,000 rubles ($4,773), from 115,000 rubles ($3,659) to 132,000 rubles ($4,200) for general jurisdiction court judges, and from 102,000 rubles ($3,425) to 104,000 rubles ($3,310) for district court judges. 13:27 21/11/2012 The State Duma has adopted a package of bills in the first reading, increasing the number of qualification classes for judges from six to ten and raising their wages.